Concejuelo castle is a majestic fortress located in the town of Galdames, in Bizkaia. 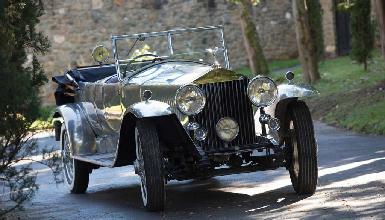 In its interior the visitors will have the chance to admire a magnificent collection of classic and ancient cars, which is considered to be unique in the world as all the Rolls-Royce makes can be found in the castle. The castle was built in the Middle Ages during the wars between clans. The current castle was rebuilt in 1985 and consists of a tower -Loizaga Tower- of 25 metres surrounded by large rooms, a moat with a drawbridge and walls. 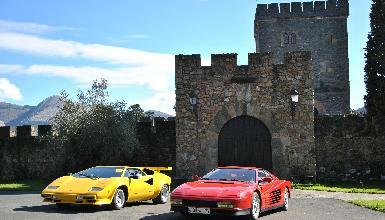 Within the walls of the castle, the visitors will have the possibility to get to know the history o automobiles. 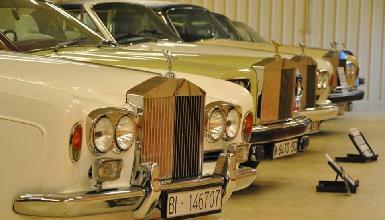 The exhibition is divided into six large rooms and three of them focus on Rolls-Royce make. In all, there are 75 cars in perfect condition: from the first production car ("Ford T") to classic sports automobiles (Ferrari Testarrosa, Lamborghini Countach...) and cars from the 30's (Hispano-suiza, Isotta, Bentley...). But, for sure, the gem of the museum is the valuable Rolls-Royce collection, which brings together 43 models of the luxurious British make. 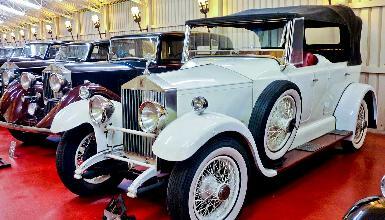 There, the most ancient models are remarkable: 1910 "Silver Ghost", some cars that date back between the 20's and 60's, such as "Phantom", and different makes such as "Silver Wraith" and "Spur", which were designed between the 80's and the 90's. Opening hours: Sunday and bank holiday: 10am - 3pm. *Guided tours during the week by previous appointment for groups over 30. Call Enkartur Tourist Office.